The 1867 edition of the Poultry Book was in contradiction to the earlier 1853 edition regarding the origins of the Brahma Chickens as the excerpt below shows. ALTHOUGH Brahmas are amongst the latest introductions into our poultry yards, there is perhaps no other variety of fowl over which more angry discussion has taken place regarding its history and origin. According to one party the breed took its rise on the hanks of the Brahmapootra or Burrampooter river, in India, from which supposed origin it derived its name; according to the opposite view Brahmas, as they are now generally termed, are either grey Cochins, or a breed originating in a cross between the Cochin and the grey Chittagong, a large variety of Malay formerly common in the United States of America. Without attempting in the slightest degree to depreciate the merits of this very magnificent breed of fowls, which is now firmly established in public favour, and which possesses characters as fixed and as capable of being transmitted as those of any other variety whatever, candour, nevertheless, compels us to dissent altogether from the statement that these fowls originally came from the region from whence they derived their name. There is not a particle of evidence to show that they came from India. The banks of the Brahmapootra have long been in the possession of the British—at least the lower part of the course of the river—and no such fowls were ever seen in the locality. 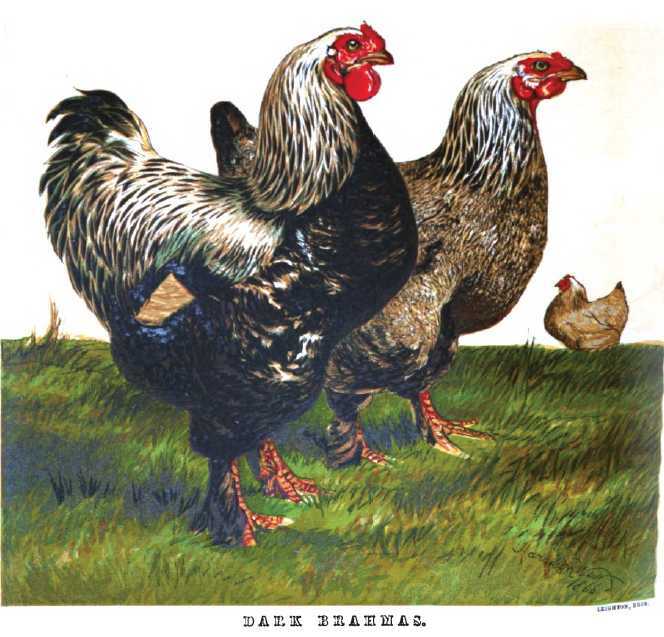 In fact, Brahmas originated not in India, but in America; and the two varieties of the breed, now known as light and dark Brahmas, had unquestionably very distinct origins. 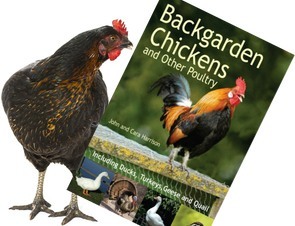 The light Brahmas undoubtedly originated in, or were identical with, those grey birds that from the very first importation came over from Shanghae with the buff and partridge birds now universally known as Cochins. But public attention was first called to them in consequence of an acute American fancier, Mr. George P. Burnham, presenting a consignment to Her Majesty Queen Victoria; and these birds were subsequently exhibited by His Royal Highness the late Prince Consort at the Metropolitan and other shows as Brahmas.